If you’d like to remodel the kitchen of your home in Clearwater, Florida, consider having the experienced team at KitchenAlity complete the job for you. As our name implies, we believe in building kitchens with personality. To us, that means working with you and your family to remodel a kitchen that is all your own. 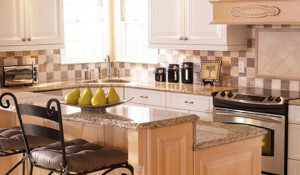 We won’t simply update your cabinetry and install new countertops. Instead, we’ll sit down with you to truly listen to your wants and needs, and then use those ideas to create a masterpiece that is anything but bland. You’ll find that the finished result is a kitchen that reflects your unique aesthetic tastes. To learn more about the full suite of kitchen remodel services that our team extends to homeowners in Clearwater, FL, and the neighboring communities, please contact us today. We will be pleased to meet with you, right in your kitchen, for an initial consultation to discuss all your wants and needs in greater detail.